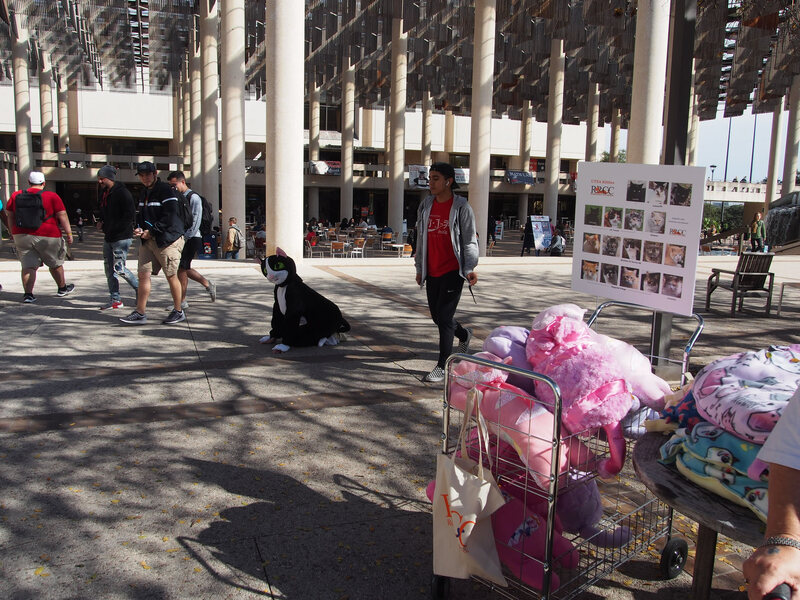 We held a fundraising event of selling stuffed animals, T-shirts, and pet mats for Valentine’s Day at the Sombrilla from 11am -1:30pm on February 13, 2019. 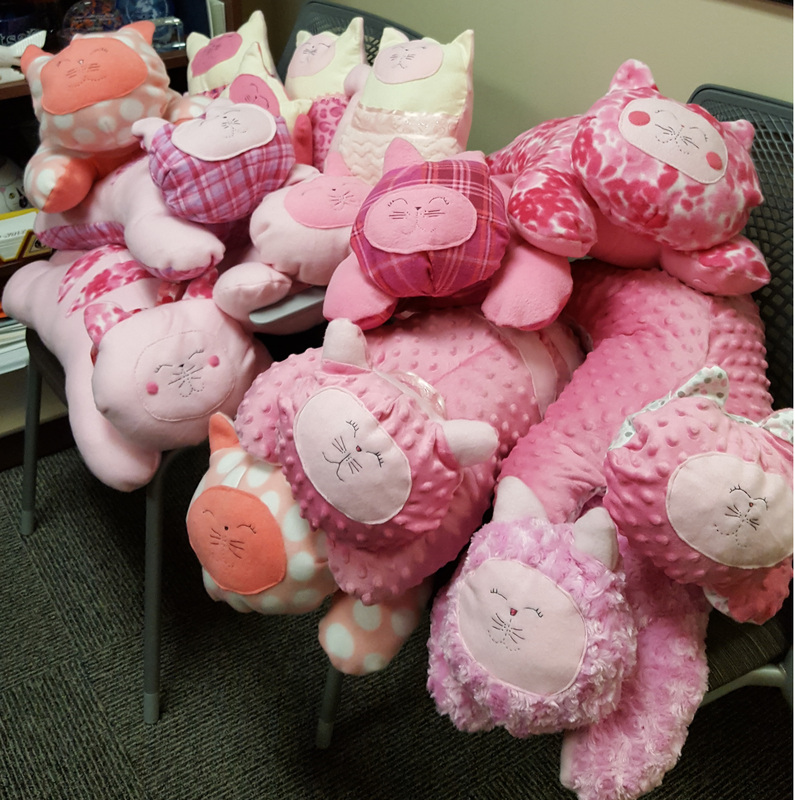 One of our members made all of the wonderful kitty items by donating the materials and her time. 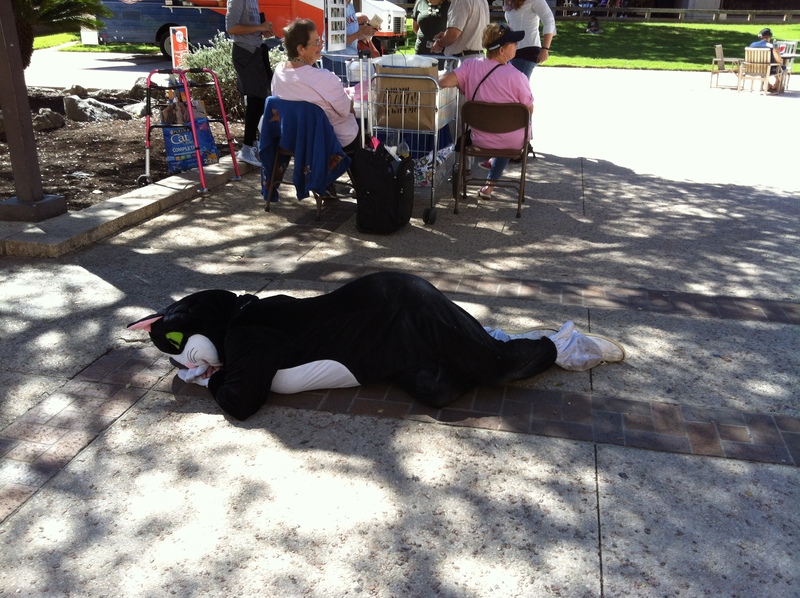 There was a great turnout, selling almost everything. 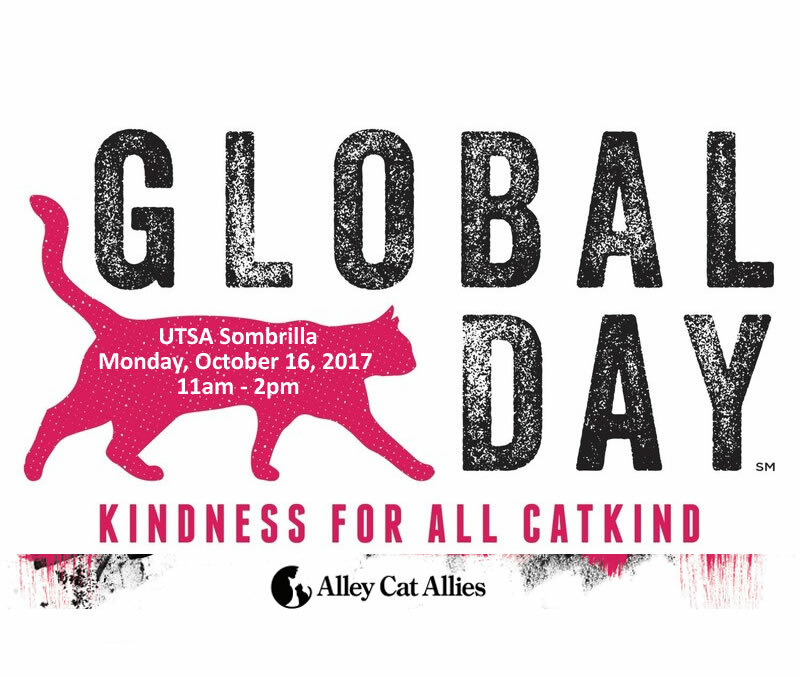 We finally had a kitty event to support Global Cat Day in the Sombrilla today. 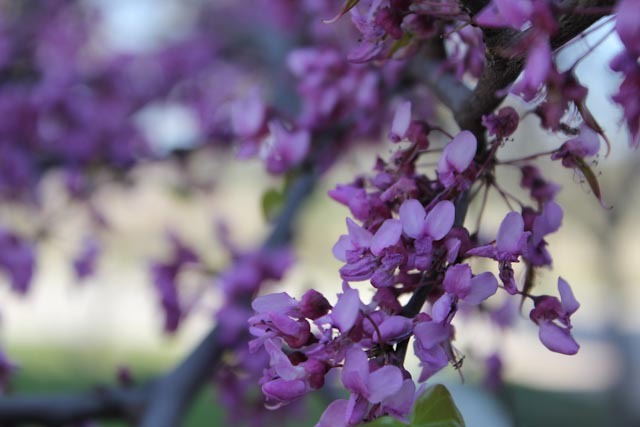 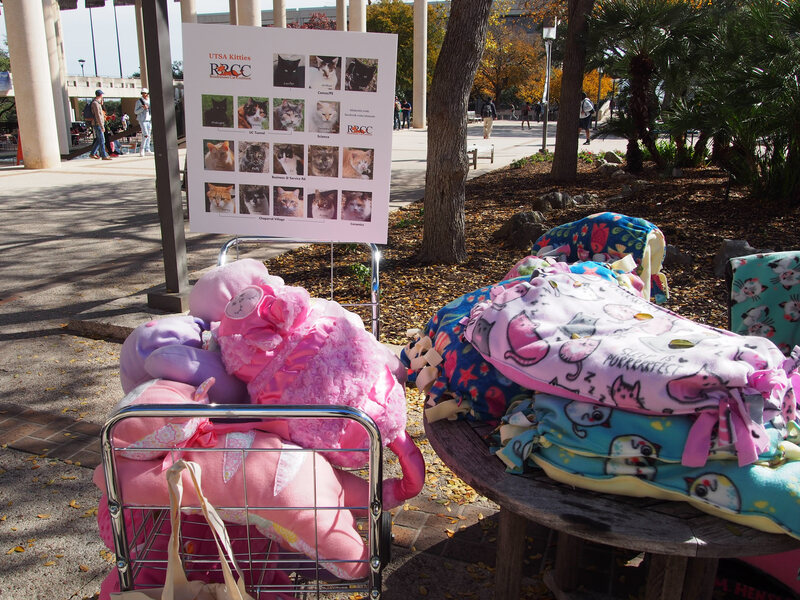 We had information about community resources for cats, lots of adorable stuffed kitties and cat beds, RRCC t-shirts and bags, and greeting cards with photos of some of our beautiful campus kitties. 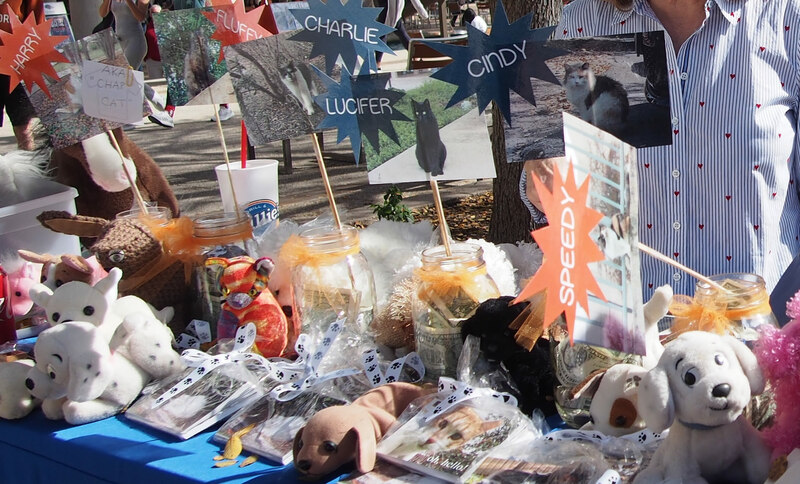 We also had donation jars to vote for your favorite campus kitty to be Santa’s Helper Kitty, which included Harry, Charlie, Lucifer, Speedy, and Cindy. 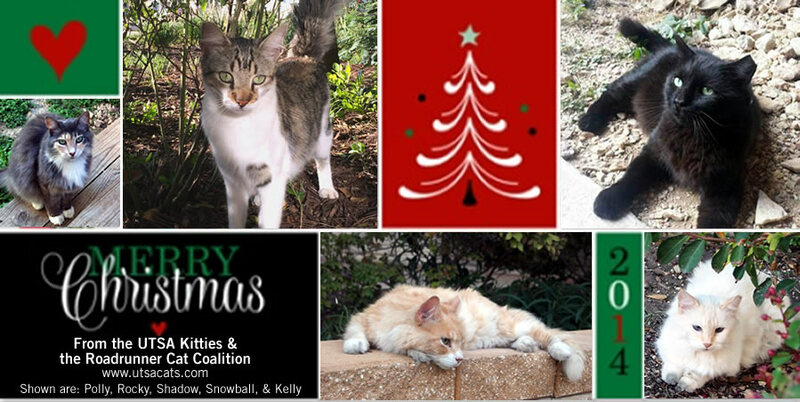 Speedy has raised the most donations and became Santa’s Helper Kitty this year! 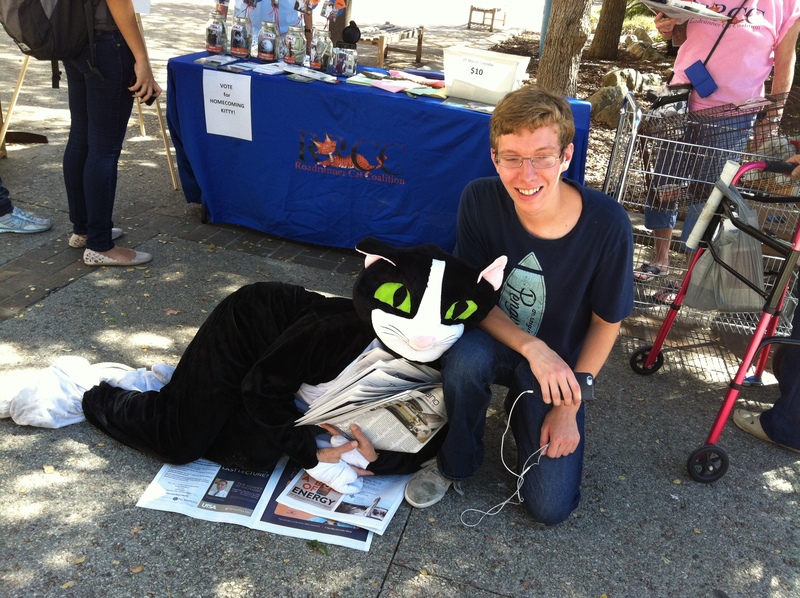 Thanks to our generous supporters and RRCC volunteers, it was a very successful fund-raising event for our kitties! 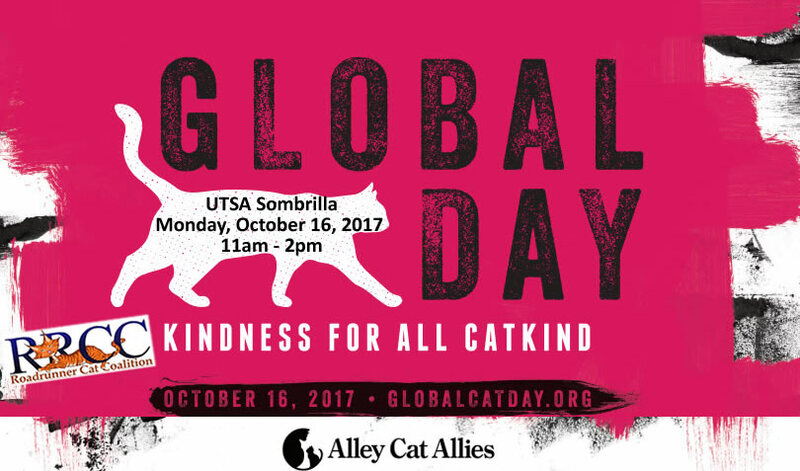 Due to the weather forecast of rain, this event has been cancelled. 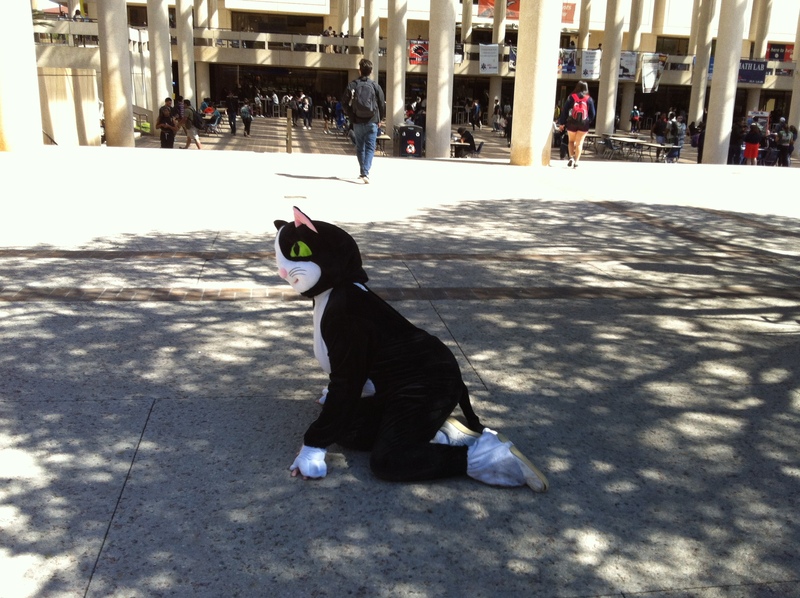 It will be rescheduled for sometime in November or early December. 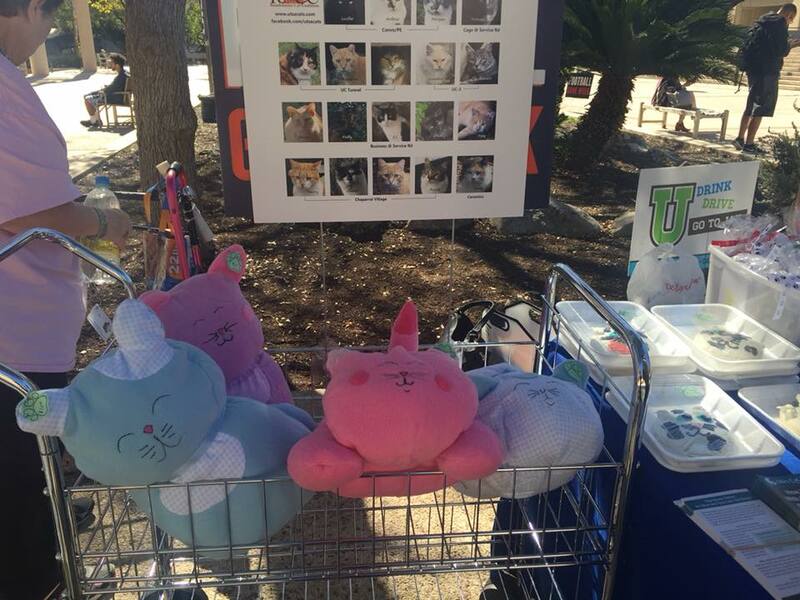 We had a successful fundraiser, selling a lot of adorable stuffed kitties, at the Sombrilla from noon to 2pm on Monday, 2/12/2018. 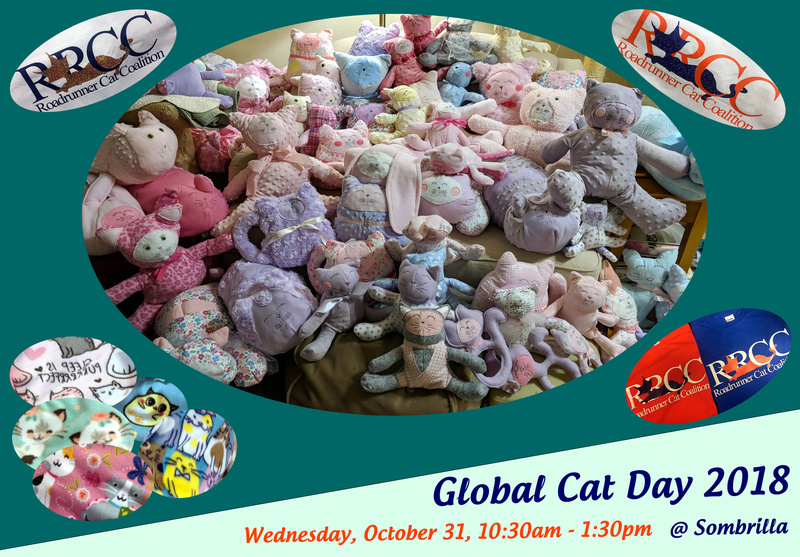 What a great day we had to celebrate Global Cat Day! 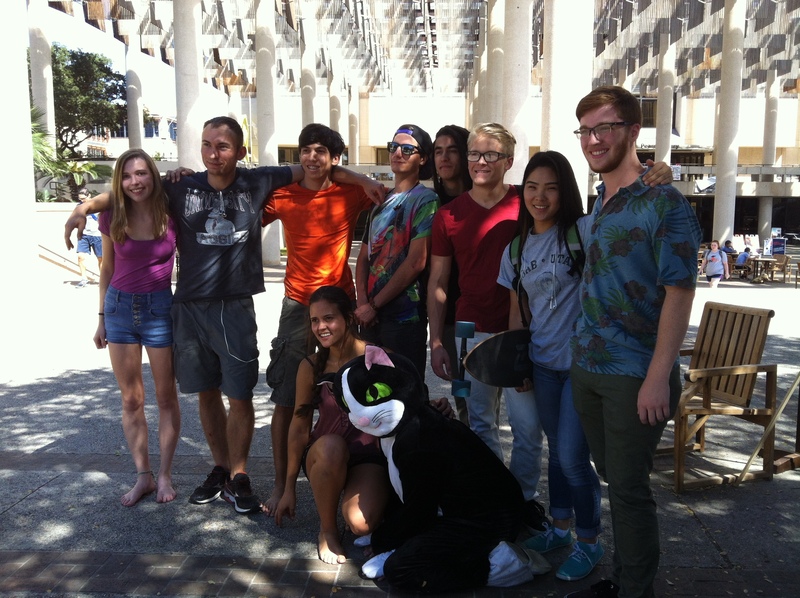 It was a huge success with our magnificent team effort. 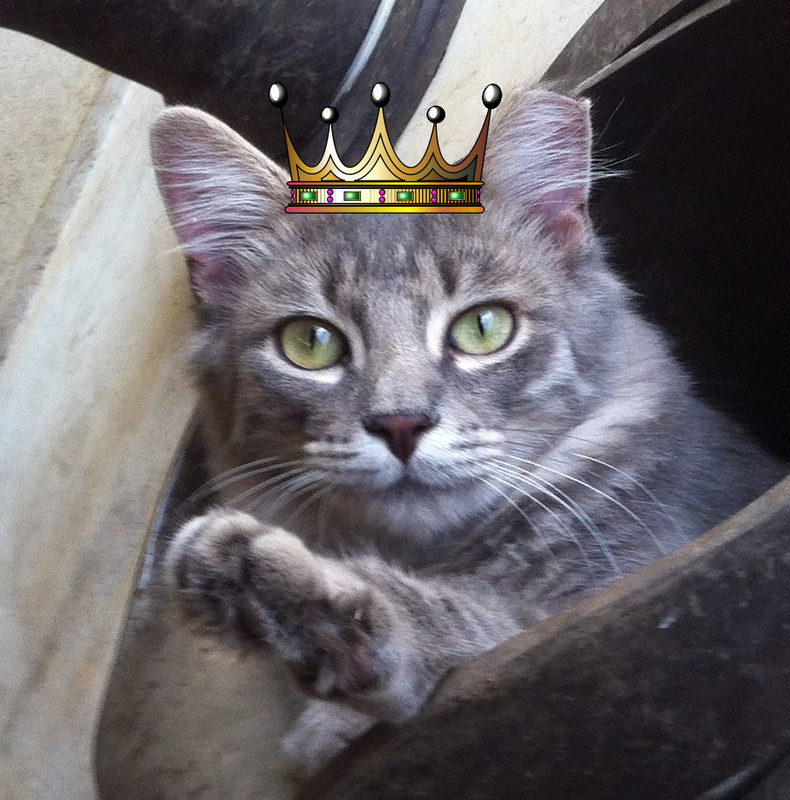 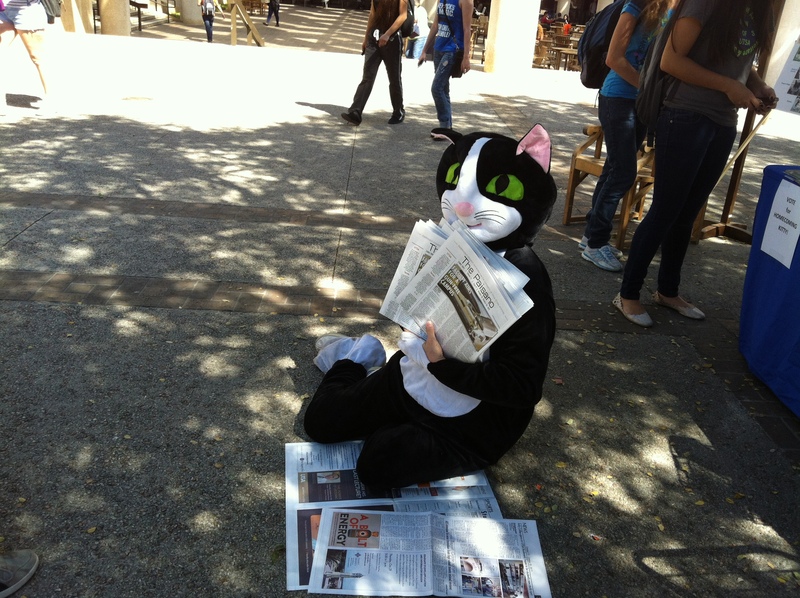 And the results are in for Homecoming Kitty….Our adorable kitten Bandit beat out Harry, CJ, Arthur, and Foxy. 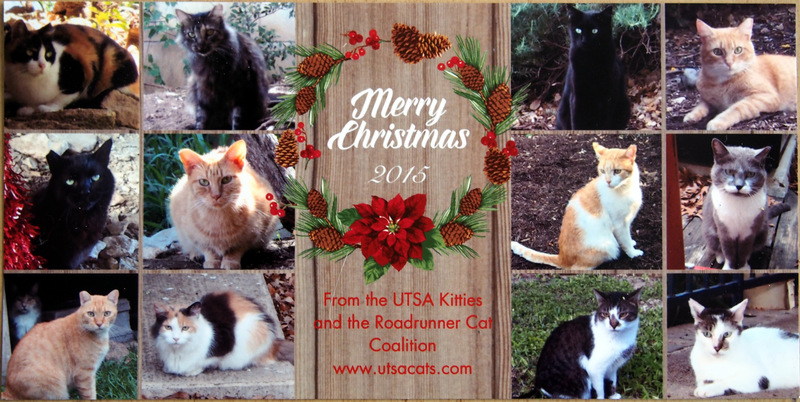 In addition to raising awareness of feral cats including our UTSA cats, we had an awesome fund-raising event. 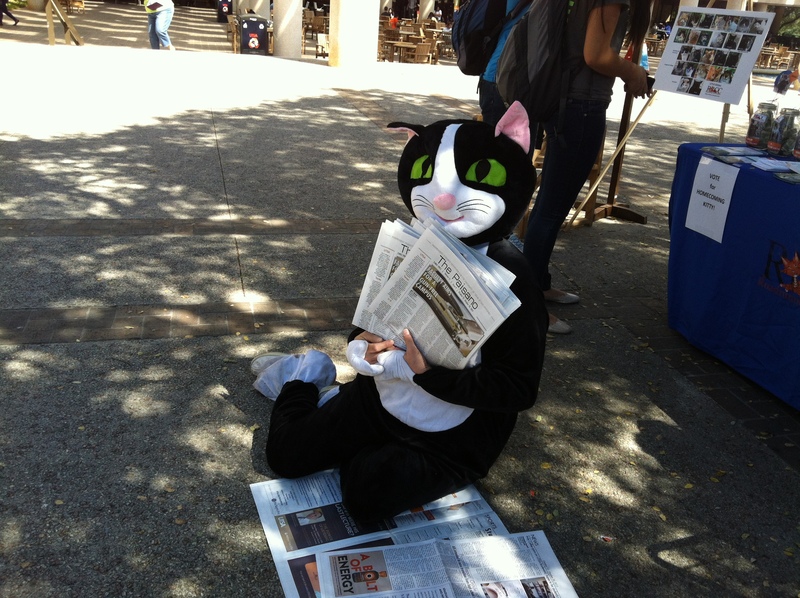 Again, our loyal mascot “Harley” drew lots of admirers and had many photos taken! 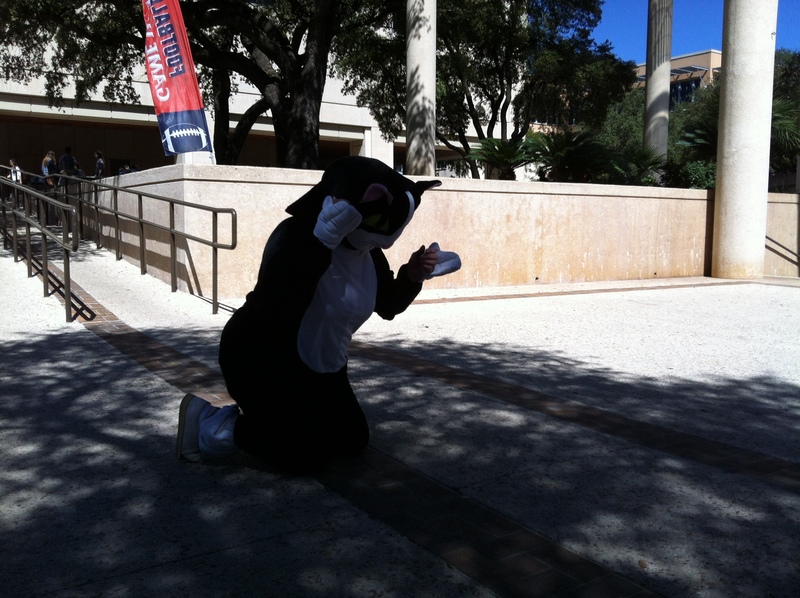 Thank you everyone who came by the table to support RRCC and UTSA kitties and those who voted for Homecoming Kitty! 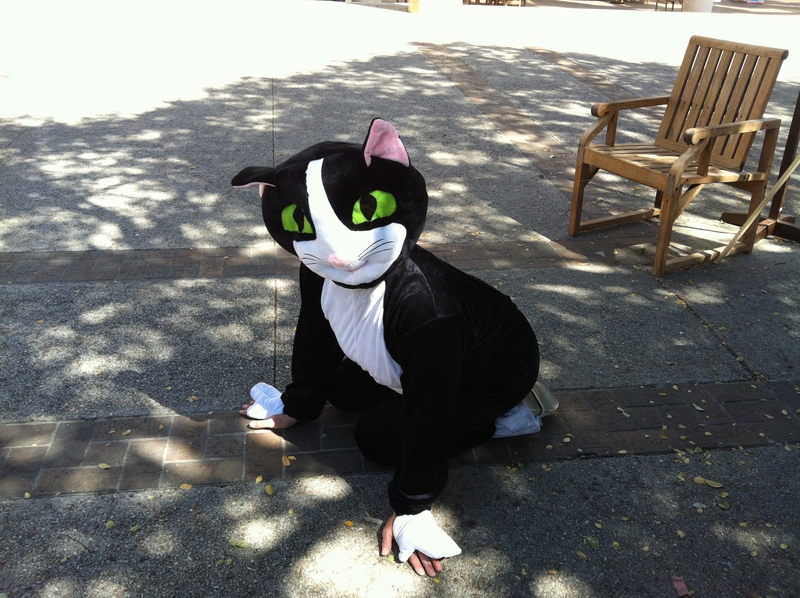 “Harley” our adorable black and white kitty mascot will make an appearance and will be available for photos! 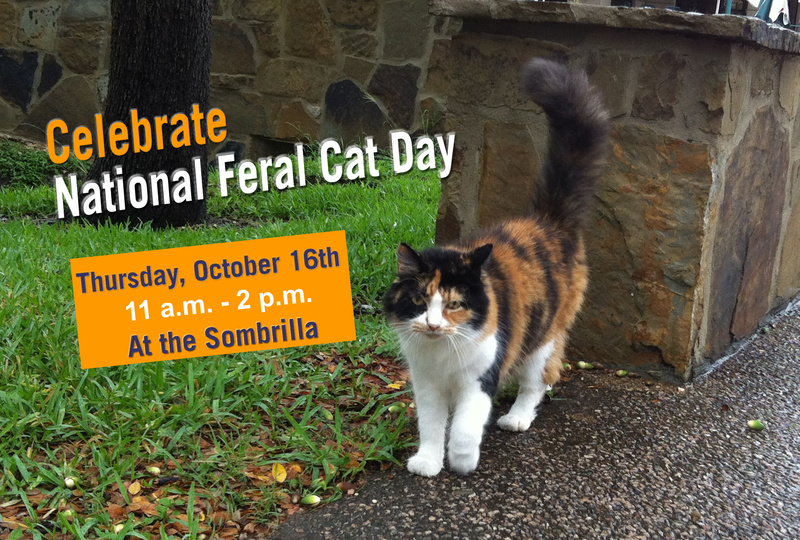 We celebrated 2016 National Feral Cat Day on Friday, October 14, 2016. 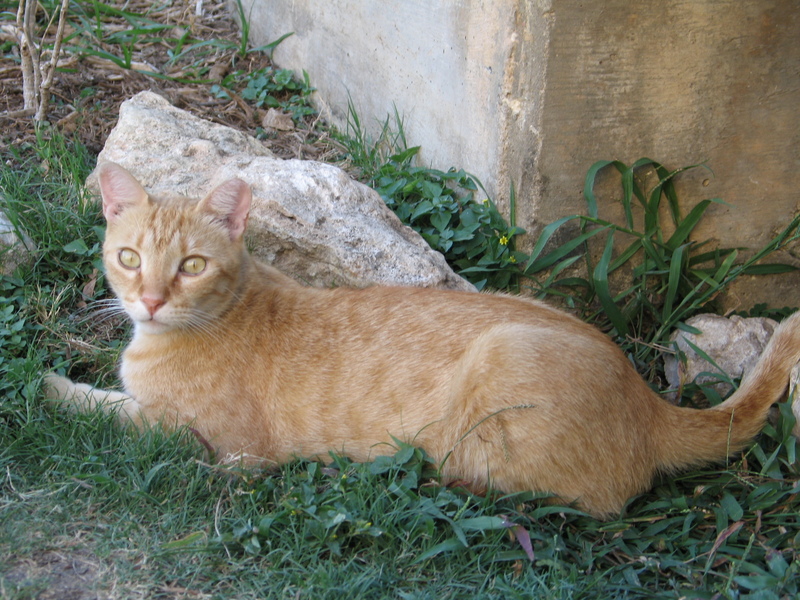 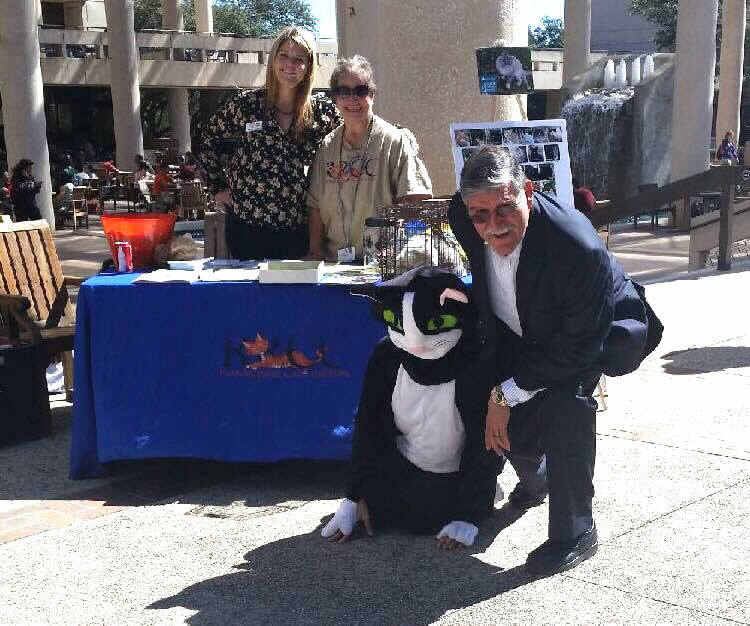 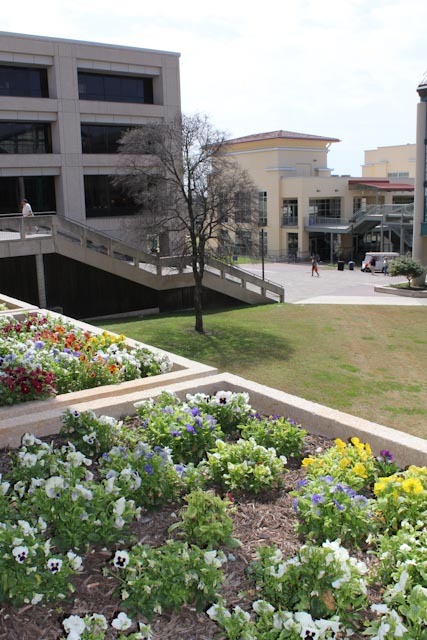 The Roadrunner Cat Coalition at UTSA hosted an event as part of “National Feral Cat Day” (Alley Cat Allies; http://www.alleycat.org) on October 16, 2015. 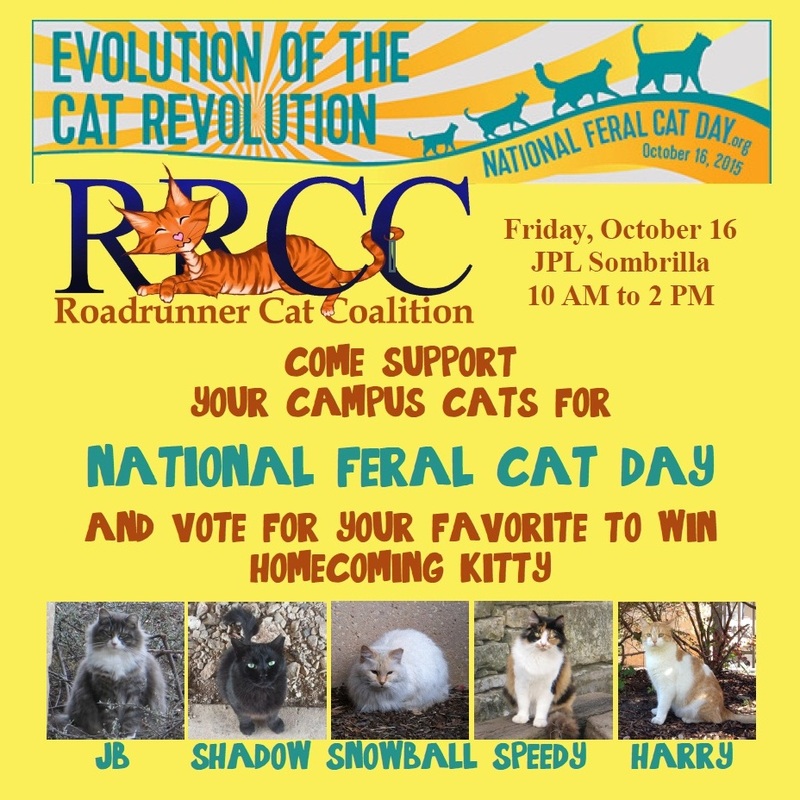 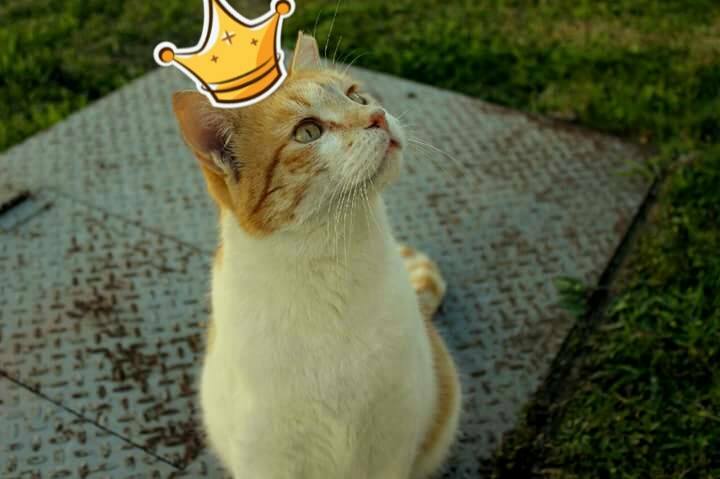 Harry won the Homecoming Kitty title with a good margin, but Snowball and JB had strong backing also!!! 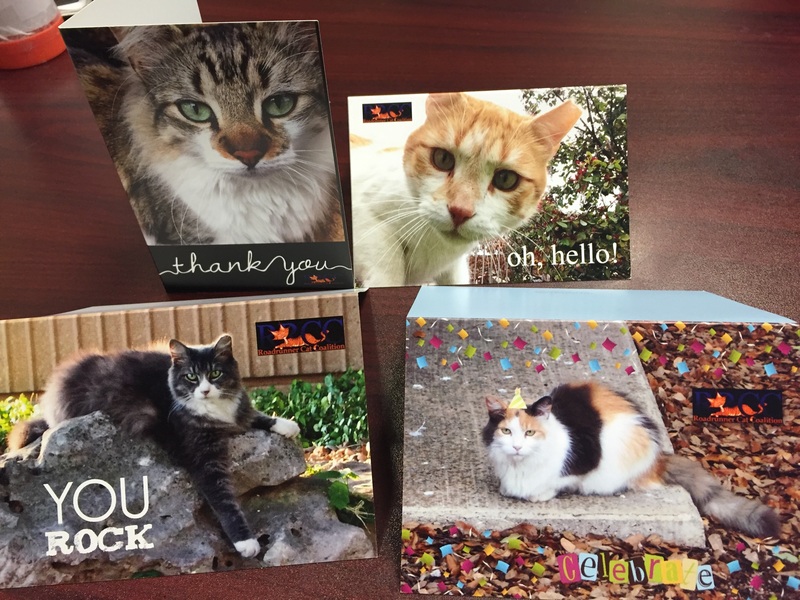 We also did great on card sales, calendar sales and received a few general donations. 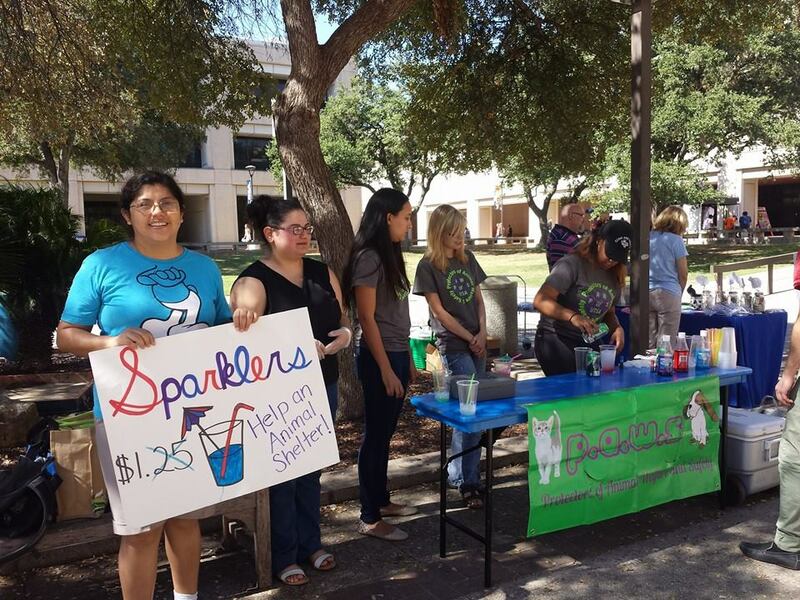 Plus the PAWS group helped us with fund raising by selling sparker drinks. 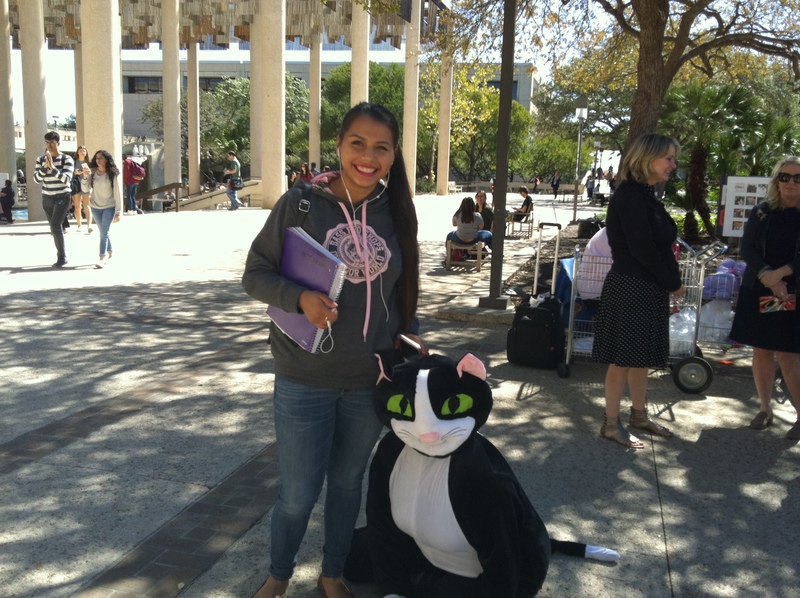 Thanks to everyone who came by the table to support us and those who voted for Homecoming Kitty!!! 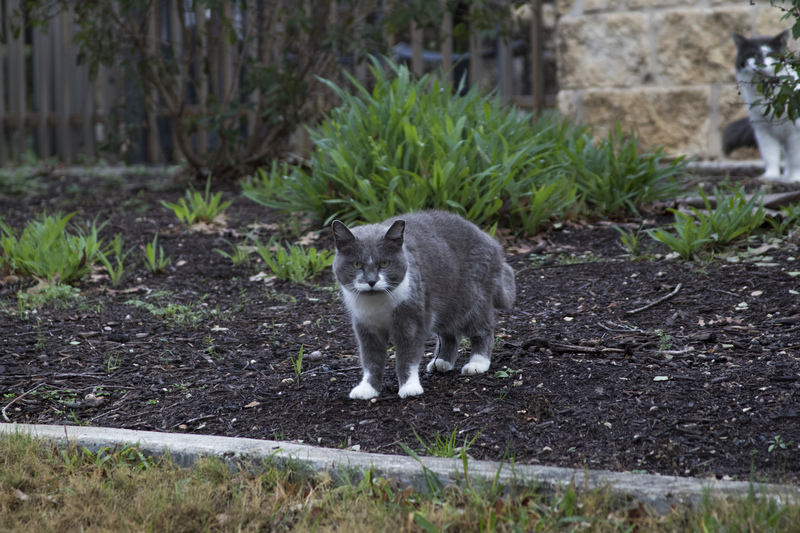 Our group and kitties are featured in Paisano, February 17-24, 2015, “What’s with all the cats on campus?” Cat Coalition helps felines find their purr-manent homes. 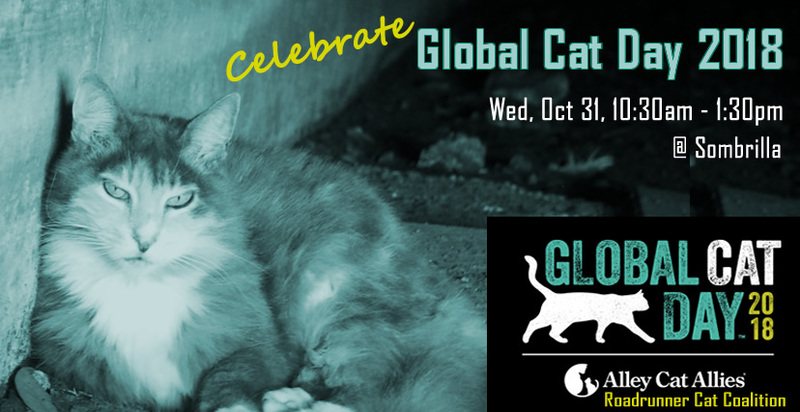 Thanks for your support of our National Feral Cat Day celebration. 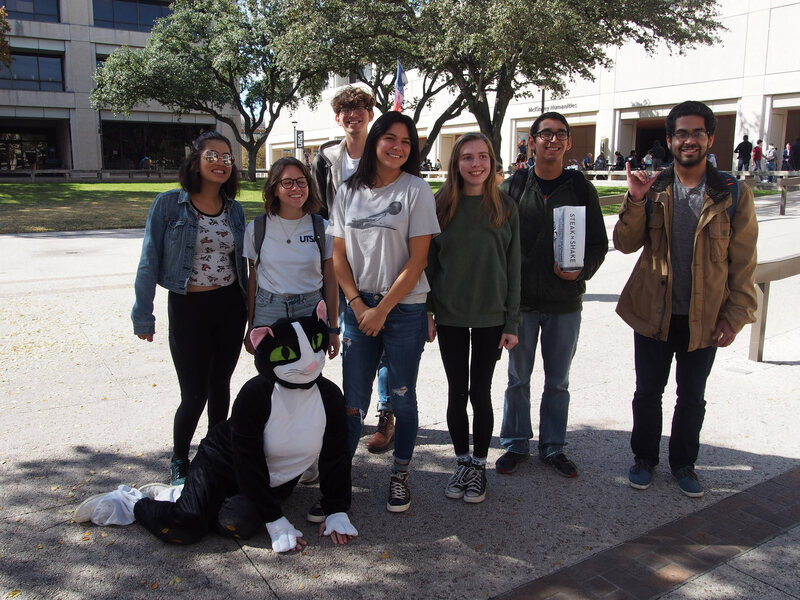 It was a big success! 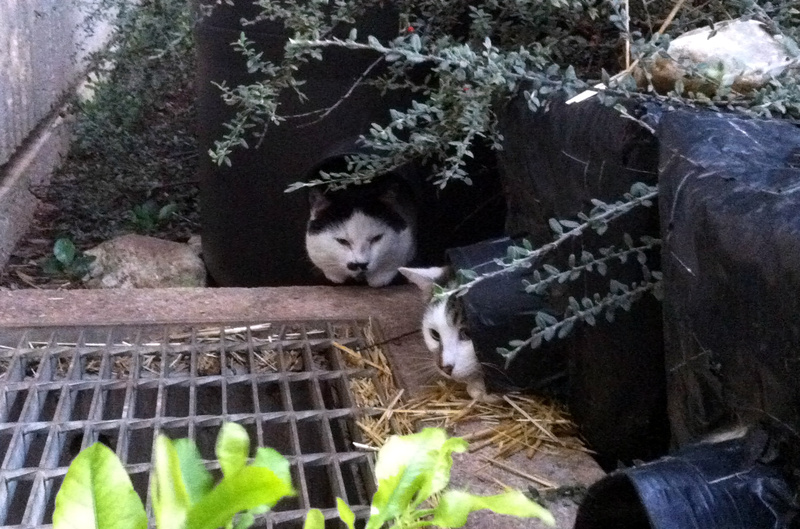 The RRCC gave out literature about caring for feral cats, and to raise awareness of our own feral cat population. 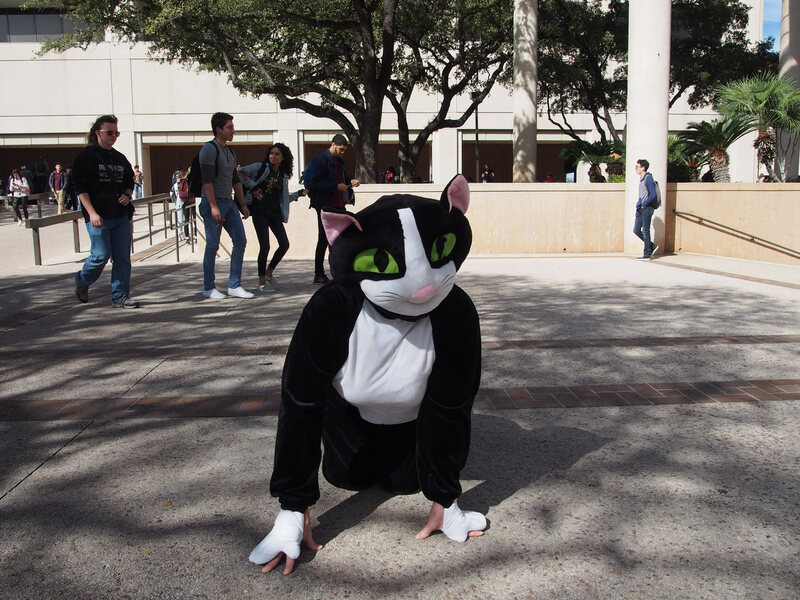 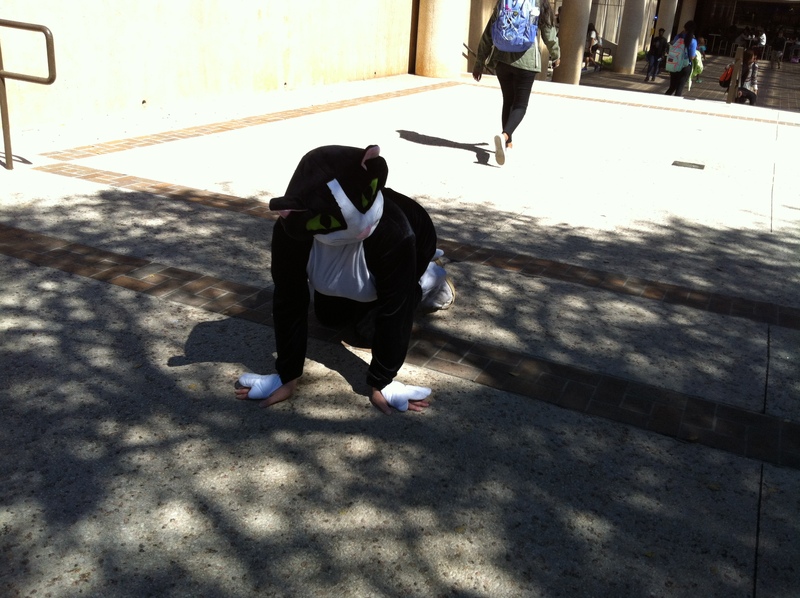 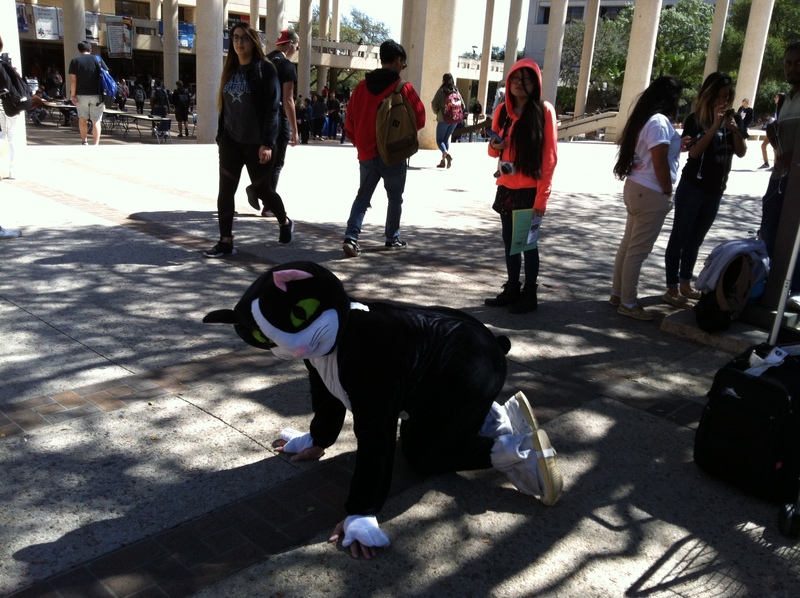 We even had one of our members dressed up in a cat costume as our spokeskitty! 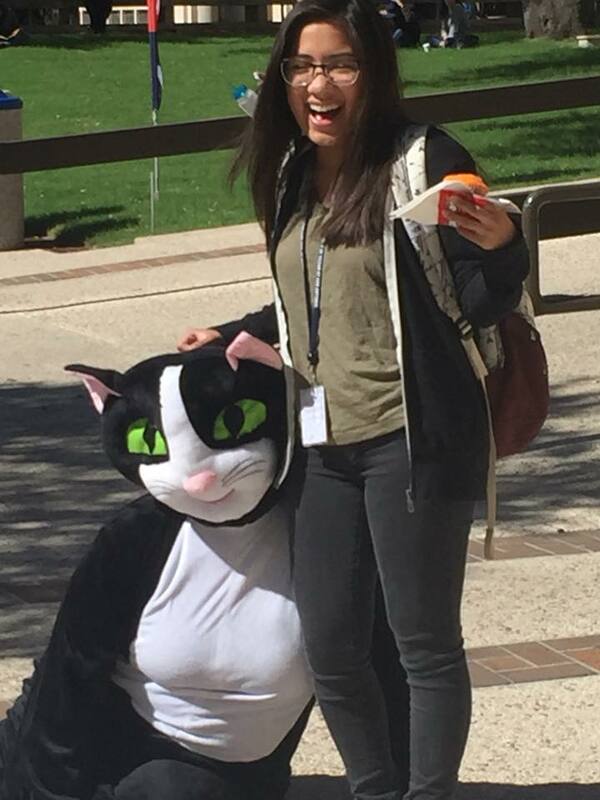 By far, this was the most popular part of our event. 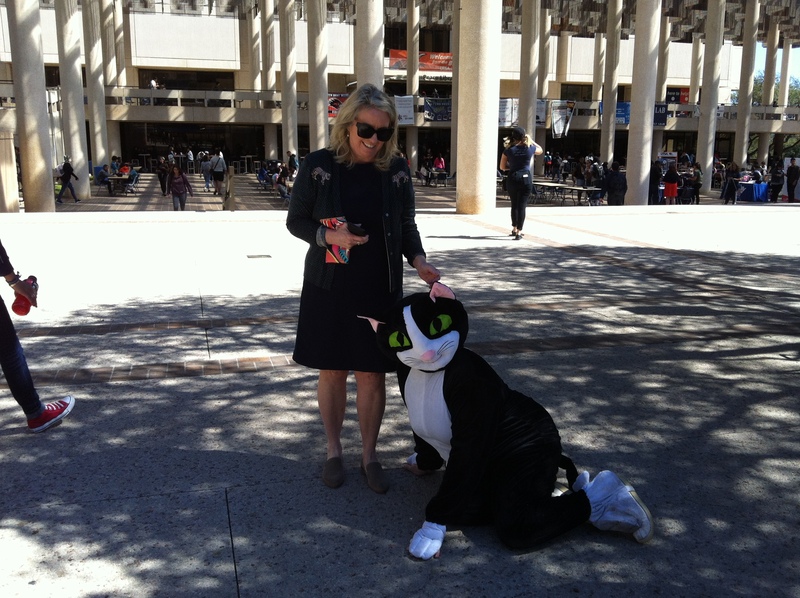 Dr. Romo stopped by and had his picture taken with the “cat.” About 40-50 students also took pictures with the cat!